Here is a list of 13 St. Patrick’s Day events and happenings by neighborhood here in Newport Beach. Some are more “authentic” than others, but here is a summary of those with whiskies, beers, specialty cocktails and of course, Irish fare. Let the “Luck O’The Irish Be With You” on March 17th! With a name like “Malarky” this place just screams Irish silliness! Holding the record for the “longest running annual St. Patrick’s Day party on the Peninsula” they are proud of their heritage. The party coincides with the venue’s 40th year on the Balboa Peninsula. Every year since 1977, St. Patrick’s Day at Malarky’s has been filled with people in a sea of green for an over-the-top festive celebration of everything Irish. Arrive early to this Balboa Peninsula landmark as the doors open at 6:30am and it fills up fast. Tap beers and Irish whiskeys will be flowing and guests can expect professional bag pipers and Irish tunes. Best of all, complimentary corned beef hash sandwiches will be available (while supplies last) and a special Irish-inspired menu can be purchased. They have numerous beers on tap and of course Guinness and Smithwick’s Irish Ale are found here. They also have Harp Lager in the bottle (one of my favorites). A popular drink here during the St. Pat festivities is their Scotch Mule. 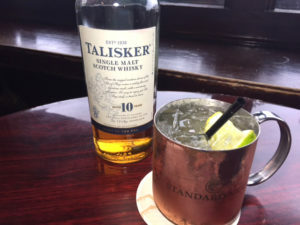 It is made with a shot of 10 year aged Talisker Whiskey (from the Isle of Skye and dates back to 1850), a squeeze of lemon and lime, and a splash of Ginger Beer. Also on the Peninsula, this is a Party with a Beer Pong Tournament in the evening. The bar opens at 11:00am. Green beer and Irish whiskey shots will be flowing at a great value! Music videos will be playing and yes, of course, some Irish tunes as well. In the evening guests can participate in the 2nd annual beer pong tournament (begins at 8:00pm). 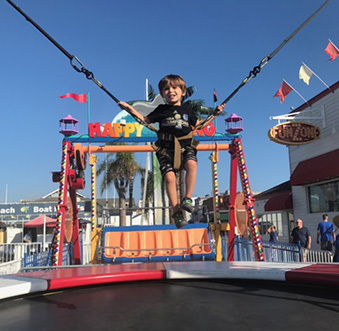 The party will be one of the biggest celebrations on the Balboa Peninsula! 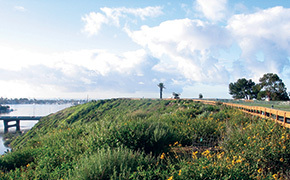 Steeped in history, this spot dates back to 1908 here on the Balboa Peninsula. 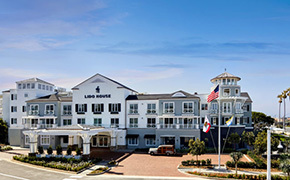 It is located at McFadden Square, just steps from the Newport Pier. Inside are two super long ornate wooden bars and if you look up at the pictures from the early 1900’s you will recognize that it is all still here–right down to the gun rack and two stag heads mounted on the wall. The bar and restaurant open at 8:00am with cocktails and breakfast available right out of the gate. The bar carries over 75 brands of whiskey including many small batch craft varieties. With the widest selection of whiskey on the Peninsula, there is bound to be something to enjoy on St. Pat’s Day. 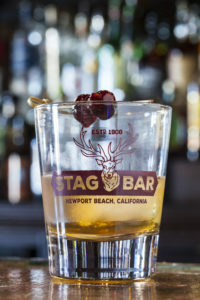 One of my favorite drinks is the Stag Bar Old Fashioned. This is made with James E. Pepper Rye Whiskey, a smidge of sugar and a dash of R&D Cherry Apple Bitters. The Whiskey has notes of toffee, chocolate, oak and vanilla, so what’s not to love! They will open at 8:00am, but according to owner Christina Duncan, “You’ll be lucky if you get in”. She should know…since she has owned this popular Newport pub along Mariner’s Mile with her husband Frank for almost 25 years. Along with Irish breakfast, the specials will include some fan favorites, such as: a Reuben sandwich, corned beef and cabbage, fish and chips and Guinness Irish stew. They’ll be pouring your favorite beers and of course, Irish coffees too. Live Irish music will start in the early afternoon. Shhhhh… this is a hide-away spot for St. Patrick’s Day. 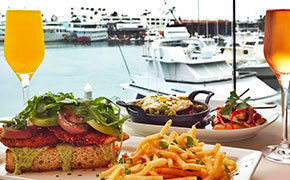 Located along the Mariner’s Mile, this restaurant has a modern, snazzy ambiance. The interior is accented with porcelain tiles, mesquite woods, etched glass, white leather chairs and cozy couches built just for two. It is a very sophisticated spot with floor-to-ceiling windows offering commanding views of the yachts, sailboats and the glorious Newport Harbor. There is also a lovely covered patio which is very popular. The bar team are stellar at developing intoxicating craft cocktails. The bartenders say, “In honor of St. Patrick’s Day, it’s all about packing surprising flavors and citrusy freshness into a vibrant, greenish cocktail.” The Gun Runner is the delicious result–prepared with Bombay Sapphire Gin, Green Chartreuse, lemon juice, simple syrup, egg white and fresh mint. Cheers to that! The fun begins at 5:00pm. 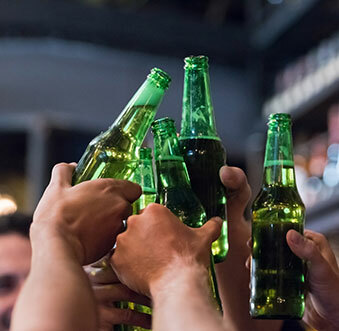 This is another hide-away spot that would be perfect for a St. Patrick’s Day celebration if beer is what is on tap with your friends. With at least 8 on-tap we always find something perfect. The outside terrace overlooks the bay, and two firepits with lots of seating offer up the perfect space for gathering and sunset chats. 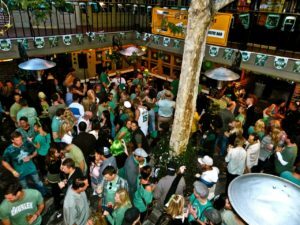 The 43rd Annual St. Patrick’s Day bash is bound to be another block-buster hit in Newport Beach. 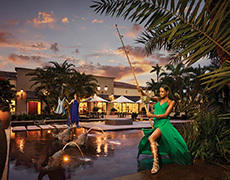 The doors open at 9:00am and it is conveniently located just across the street from Fashion Island. There will be two fun live party bands playing so you can get started dancing a jig early. Best of all there are no reservations, no cover charge. Just come on by! 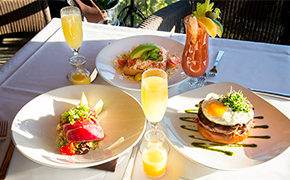 In the dining room Irish specialties will be available for breakfast, lunch and dinner. Also in the Celtic Bar Café they will be serving corned beef sandwiches with “can’t eat just one” hand-cut pub chips. Muldoon’s is famous for their Irish Coffee. On a recent visit the bartender shared the recipe with me so here it is: one shot of Tullamore Dew Irish Whiskey, half a shot of Dark Creme de Cocoa, fresh brewed coffee, powdered sugar rim and house made extra thick whipped cream. On tap they have Guinness Stout, Harp Lager and Smithwick’s Ale along with others. Muldoon’s has 36 different whiskeys at the bar–from Irish to Single Malts, offering a nice selection from which to choose. Enjoy the pub ambiance and a lovely patio shaded by a huge tree. 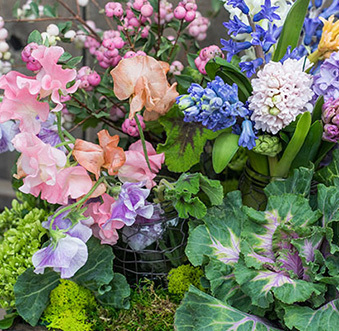 March 13-19th – This week long celebration at Yard House Fashion Island (and other locations) will feature an Irish-inspired menu and cocktails. Drinks like the Dublin Mule (Jameson Irish Whiskey, Guinness dry Irish stout, house-made ginger beer and fresh mint) and, of course, plenty of green beer will be on tap. The dining specials include two favorites from the homeland….corned beef brisket and shepherd’s pie. Get into the St. Patrick’s Day spirit with The Blind Irish cocktail. This dandy drink is an Irish version of an Old Fashion. 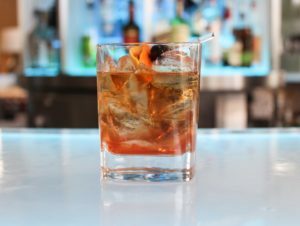 It features Jameson whiskey, Angostura Bitters, cinnamon apple simple syrup and a garnish of an orange peel & a Luxardo cherry. Cheers to that! Cocktails at Aqua Lounge will be available from 3:00pm to 1:00am. These St. Patrick’s Day specials are so good guests will think they’ve found the end of the rainbow. 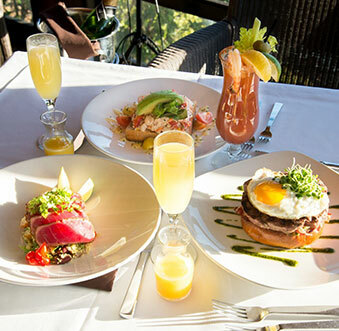 Guests are encouraged to enjoy authentic Irish fare at the Oak Grill. 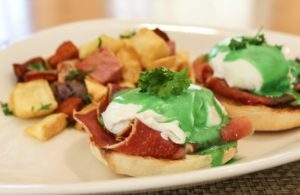 Starting early, they will be serving Green Eggs Benedict for breakfast and Corned Beef and Cabbage for dinner. Green beers will be served all day long. Oak Grill will be open from 6:30am to 11:00pm on Friday. This restaurant and sports lounge has magnificent views of the Pacific Ocean. 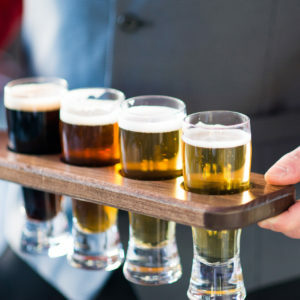 Guests can sample a selection of Irish Beers in featured Tasting Flights, and a special Lounge menu will feature the cuisine of Ireland. The restaurant is open from 11:30am–2:30pm and 5:00–10:00pm. 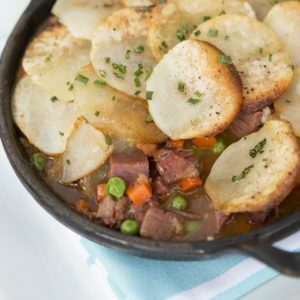 Celebrate the luck of the Irish with special dishes, such as corned beef hash for breakfast, Potato & Leek Soup for lunch, Guinness Pie for dinner and desserts featuring the flavor of Bailey’s Irish Cream coffee. They open at 7:00am for breakfast and are open until 10:00pm. Get your whiskey on at Bosscat! Take a tour of their private Whiskey Room (which may be a tad tough on March 17th) but this is worth a peek…. as this room houses over 300 select bottles of whiskey, bourbon and scotch from around the world. Learn about your favorite whiskey from a Whiskey Specialist while sipping on a glass of your most recent discovery. Want to store your own private reserve at Bosscat? Ask about their Whiskey Lockers. Opens at 11:00am on Friday’s and is right near the airport. And for those of you who might find yourself in a Drinking Contest, let the “Luck O’ The Irish Be With You” and if not, here are some fun facts about St. Patrick’s Day that might help you. You’re Welcome! Each year March 17th marks a celebration affectionately known as St. Patrick’s Day! And just like any other holiday, I like to know just a little bit of history about what we are toasting to–and why. There is a long, dreary story to be told all about this special Saint. However let me provide you the shorter version. Patrick had a very sad upbringing. He was actually born in Britain and was kidnapped by Irish raiders and taken to Ireland. He learned the language and later became a priest with a mission to minister to the Irish and convert them to Christianity. He was beloved and died, it is believed, on March 17th 460 A.D. This then became the day of feast and celebration in his honor.